When analyzing the structure of a video, there are three distinct parts: an introduction, a body, and a tail. Generally speaking, the introduction is where you capture your audience’s attention and convince them to watch the remainder of the video. The body of the video is where you deliver the value to the viewer, and the tail is where you place a call to action. The call to action is your opportunity as the video creator to get the viewer to do something that you want. This does not necessarily have to be a sale, it could be a subscription, a sharing of the video on social media, or simply a viewer’s commitment to watch future content that you or your company produce. In order to get viewers to act upon your call to action, you must first deliver value to them in some way. Further, you must have a captivating introduction that ensures they don’t click away as well as a dynamic body to your video that keeps viewer retention high over the course of the video’s contents. Once you have successfully gotten the viewer to watch your entire video, you must implement a strong call to action. The average viewer’s attention span has declined substantially over the past decade and half. In 2000 the average person’s attention span was 12 seconds; in 2015 the average person’s attention span is 8.25 seconds. This decrease of 31.25% over the past 15 years signals that marketers must capture the audience’s attention faster than ever before. The introduction of the video generally comprises about 2% of the video’s entirety. In this first 10 seconds or so, viewer retention drops by about 20%. The steep decline in viewer retention is indicative of the video producer’s failure to capture the audiences attention. Considering that a fifth of viewership is lost in this early portion of video, it is crucial that you do everything you can to keep viewer retention high at the beginning and continue to keep it high as the video progresses. 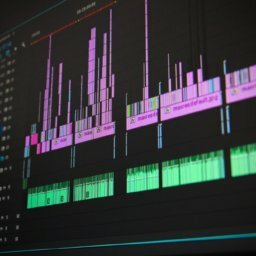 Good techniques to ensure that the introduction of your video maintains viewer retention include creative ways to concisely explain the video’s contents in such a way that convinces the viewer to keep watching. For example, if you were selling a product you may consider explaining some huge value proposition with the claim that your product can satisfy it and you will show the viewer how if they keep watching. Once you have captured your viewer’s attention for the introduction of the video, you have 98% of the video remaining for which you must continue to deliver value. There are several ways to deliver value throughout the course of your video. One way is to make sure that you are delivering value to your target audience. Even if you are delivering valuable content, the content must be perceived as valuable by your target audience. If this is not so, you must either adjust your target audience or adjust your content to fit your target audience. Additionally, you should make sure that the message you deliver is succinct. While it can be tempting to deliver vast amounts of information on the topic you’re discussing, you are actually more likely to experience declining view retention if you overload viewers with information. 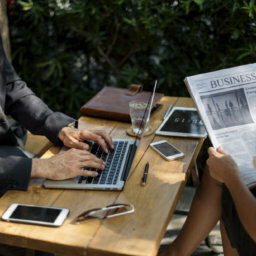 In addition to conciseness and delivering value to your target audience, you must ensure that you are delivering content in a dynamic and captivating way. There are several ways to do this including changing the content, audio, topics, or speaker every few seconds. By doing this you are ensuring that there is no downtime in your content delivery. While your videos should be made dynamically, changes should be made subtly and frequently. This ensures that the viewer is not distracted from the big picture and makes sure that they remain focused while you deliver content. 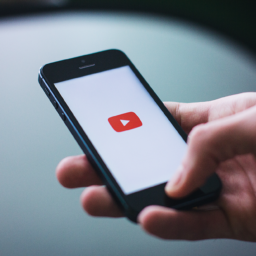 You have made it to the end of your video with a high audience retention; it is now time to introduce the virtual handshake known as the call to action. If you have indeed successfully captivated your viewer, you are now in a good position to prompt the viewer to actually do something. 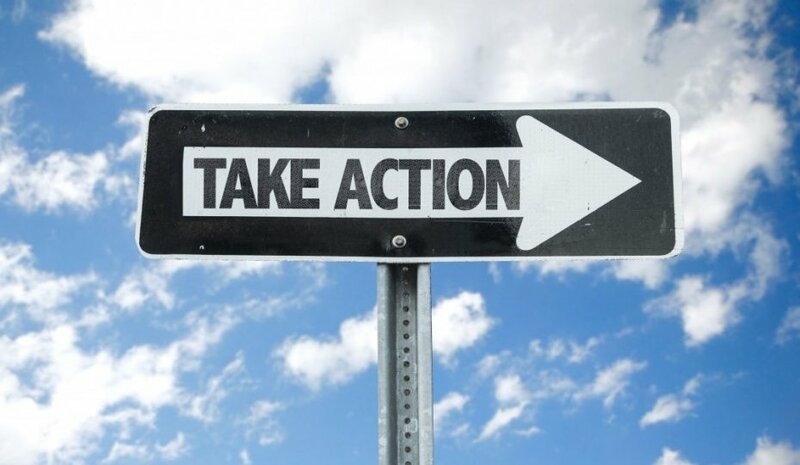 Before you create your call to action, it is important to consider what exactly you are trying to get the viewer to do. Depending on whether you are trying to sell a product, increase the audience of your YouTube talkshow, or raise awareness about a certain cause, knowing your end goal will allow you design your call to action in the most effective way. As a general guideline however, most of the time the goal is to get the viewer to transition from the video hosting websites such as YouTube or Facebook to your website. By doing this you are eliminating any distractions associated with YouTube or any other social media websites. A common mistake people make in creating their call to action is to direct the viewer to a website with more information. This creates a burden for the viewer as they now have to parse through more information in order to close any kind of sale. The transition from call to action to your company’s end goal should be as seamless and integrated as possible. Before creating your call to action, walk through the entire process you expect the viewer to walk-through and ask yourself if the experience you just went to would provide an inconvenience to a potential viewer. If your call to action as it stands right now is too complex for viewers to navigate through, make it more simple, natural, and direct. To further simplify the call to action process, consider what options are available with the video technology you are using. For example, if you are able to include pop-out calls to action or embed contact forms directly in the end of your video, the viewer does not have to leave the current page in order to successfully complete the call to action. While the call to action only occurs in the end of the video, it truly is an integrated process. Not only does the call to action have to be simple and easy for the viewer to follow through on, but the viewer must actually reach that point in the video and therefore must be captivated from beginning to end.